CI is a software development methodology in which a build, unit tests and integration tests are performed, or triggered, whenever code is committed to the repository, to ensure that new changes integrate well into the existing code base. Integration builds provide early 'fail fast' feedback on the quality of new changes. Release management describes the steps that are typically performed to release a software application, including building and functional testing, tagging releases, assigning versions, and deploying and activating the new version in production. What problem does Bamboo solve? an automated, and therefore reliable, build and test process, leaving you free to code more. a way to manage builds that have different requirements or targets. automatic deployment to a server, such as the App Store or Google Play. your build and test process is not dependent on a specific local environment. 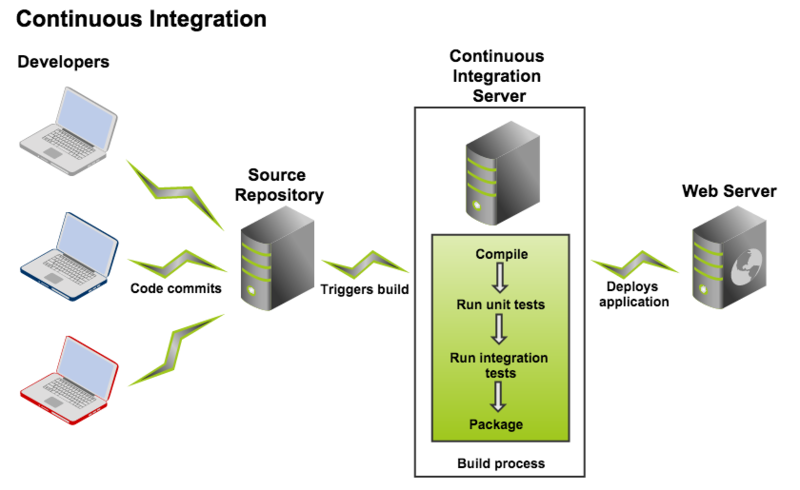 builds and integration tests are triggered automatically as soon as a developer commits code (continuous integration). you can optimize build performance through parallelism. you can leverage elastic resources. you can deploy continuously, for example to user acceptance testing (UAT). you can implement release management. How does Bamboo do this? Bamboo is the central management server which schedules and coordinates all work. Bamboo itself has interfaces and plugins for lots of types of work. Bamboo first gets your source from a source repository (lots of plugins here for a variety of systems). Then Bamboo starts the build - that can be done by calling something like MSBuild to build your Visual Studio solution, or Maven to call your compiler and linker - whatever you use. Once your solution or project is built, you have "artifacts" (build results, for example, an executable app, config files, etc.). zip them up into a ZIP file and copy them somewhere. run an install builder on them and create an MSI. install them on a test server to make sure everything installs just fine. Bamboo provides a web front-end for configuration and for reporting the status of builds. a code repository that contains the complete source code for the project. It is generally assumed that the person who commits a change to the code is responsible for fixing any resulting build errors immediately. How is a Bamboo workflow organized? 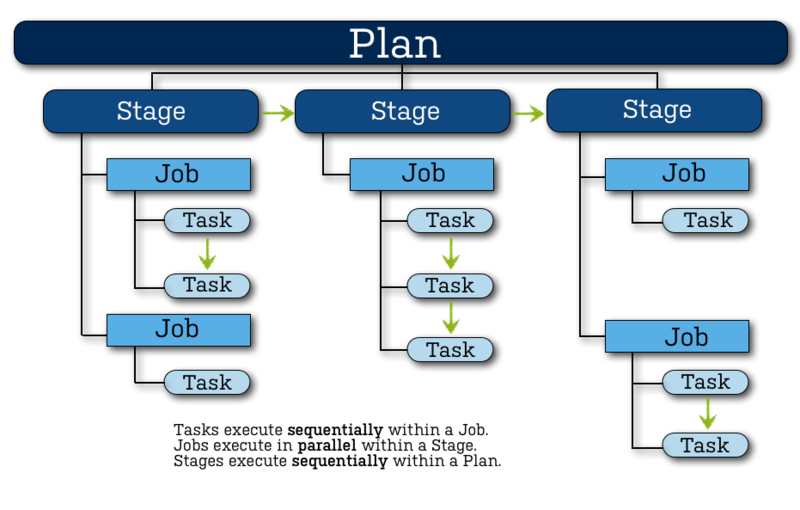 Bamboo uses the concept of a 'plan' with 'jobs' and 'tasks' to configure and order the actions in the workflow. Has none, one, or more, plans. Provides reporting (using the wallboard, for example) across all plans in the project. Provides links to other applications. Has a single stage, by default, but can be used to group jobs into multiple stages. Processes a series of one or more stages that are run sequentially using the same repository. Specifies how the build is triggered, and the triggering dependencies between the plan and other plans in the project. Specifies notifications of build results. Specifies who has permission to view and configure the plan and its jobs. Provides for the definition of plan variables. By default has a single job but can be used to group multiple jobs. Collects the requirements of individual tasks in the job, so that these requirements can be matched with agent capabilities. Defines the artifacts that the build will produce.